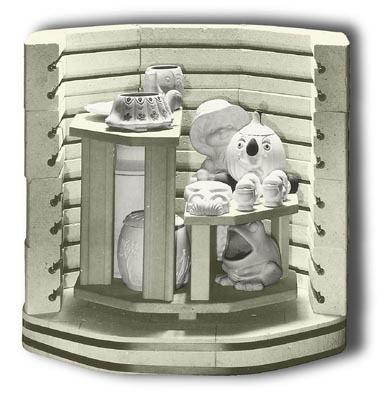 Evenheat KILN FURNITURE KITS contain shelves and posts which are needed to support and separate ware during firing. The use of furniture is a must. The contents of each furniture kit has been chosen with over 50 years of customer feedback to Evenheat. 1 lb. Kiln Wash, Heik brush. Shipping: All Evenheat Products are Drop Shipped from the factory in Caseville, MI, FREIGHT COLLECT. Parts are usually shipped 2-3 working days after receipt of order. Additional KILN POSTS and KILN SUPPLIESs are also available.